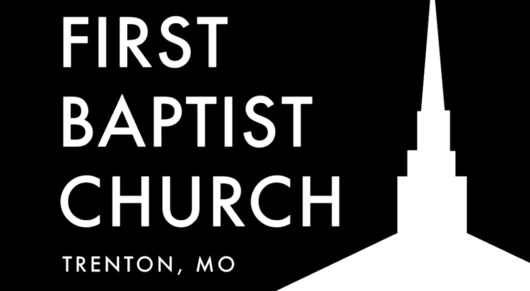 Welcome to First Baptist Church in Trenton, MO. At FBC, we desire for people to connect with Jesus Christ, grow to become more like him, and go and serve others. Where ever you may be in your spiritual journey, we would like to welcome you to join us in reaching Trenton and the world with the good news of Jesus Christ. Come as you are and join us! Sunday A.M. Service - 10:40 A.M.
Sunday Evening - Bible Study/Prayer Service 6 pm. February 22-23- Youth Disciple Now Weekend at Grand Oaks Camp in Chillicothe, MO. Contact Andrew for more details (660-359-3898).